The Baltic nation of Estonia is building a wall on its border with Russia. Although the barrier will not stop the Kremlin’s tanks, it will aid in the prevention of criminal activities that harm Estonia said the country’s leadership. “The country’s best experts, who are working closely between themselves, have been brought in to prepare the procurements for the border construction. Our authorities have sufficient experience with the implementation of large-scale construction projects and I am glad that these experiences are also put to use,” Prime Minister Juri Ratas said. He said that when we are talking about combating illegal border-crossing and smuggling, criminals use ever more state-of-the-art solutions in their activity and the assets and the infrastructure at the disposal of the state must be one step ahead of those of the criminal world, reported The Baltic Times. “Construction of the border is expensive, but extremely important when it comes to security,” Estonian Interior Minister Katri Raik said. There have been multiple incidents of harassment and even kidnapping on the Estonian border with Russia. 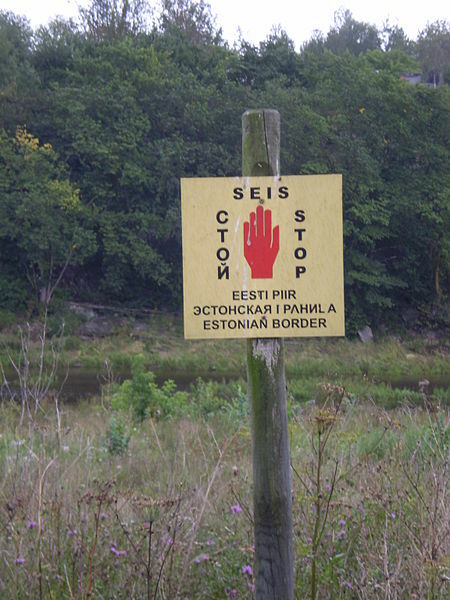 “Nobody doubts that Estonia needs a safe external border. The question however is what is the optimal price of this safety. Test sections meant for testing different solutions showed that building the border on the difficult terrain will be a challenge and an expensive project at the same time. Construction will take place in a more than 300 kilometer section of the border that will require also electricity supply and technical equipment aside from infrastructure,” Director General of the Police and Border Guard Board Elmar Vaher said. “Construction of the border is not a project in creating seeming security, where we put up a fence and are enthralled by what could be achieved with little money. Construction of the border is one of the biggest safety, security and construction projects for Estonia to date, in order for it to be safe for people to live in Estonia,” Elmar Vaher said, reported The Baltic Times.